Enoy the festive ambiance at the Berlin Christmas market in front of Charlottenburg Palace. 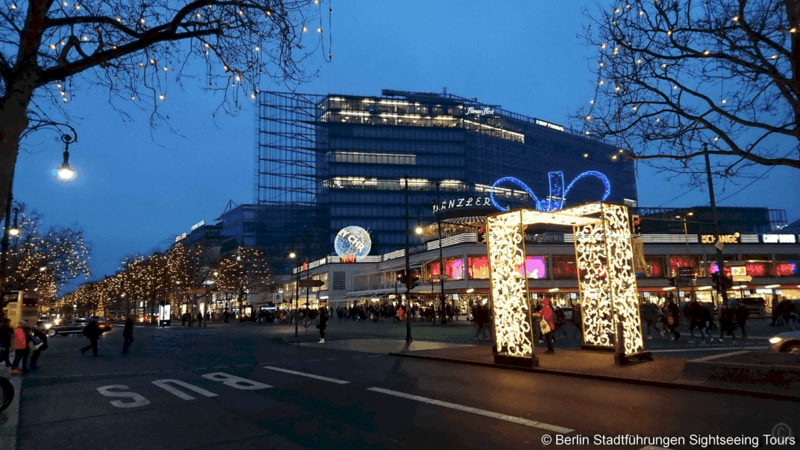 Berlin Lights Tour: Take an individual guided tour of a special kind and discover the radiant city lights during the Christmas season. Perfect starting time of this tour is after dusk at 4:30pm or 5:00pm. Duration approx. 2 hours - with exit and stroll at Charlottenburg Palace Christmas Market about 2 1/2 hours. You determine the starting and ending point in the center of West or East Berlin; e.g. start directly from your hotel, your home or business address; and end the tour at one of the charming Berlin Christmas Markets or a restaurant of your choice. Private city lights tour exclusively for your group depending on the group size in a motor coach, minibus, van or sedan. Explore the fantastically staged sights in bright light and illuminated festively staged boulevards. Admire Berlin´s highlights. or hot chocolate or just stroll over the Christmas market at Charlottenburg Palace and enjoy the ambiance and festive mood. Minivan with up to 7 seats. 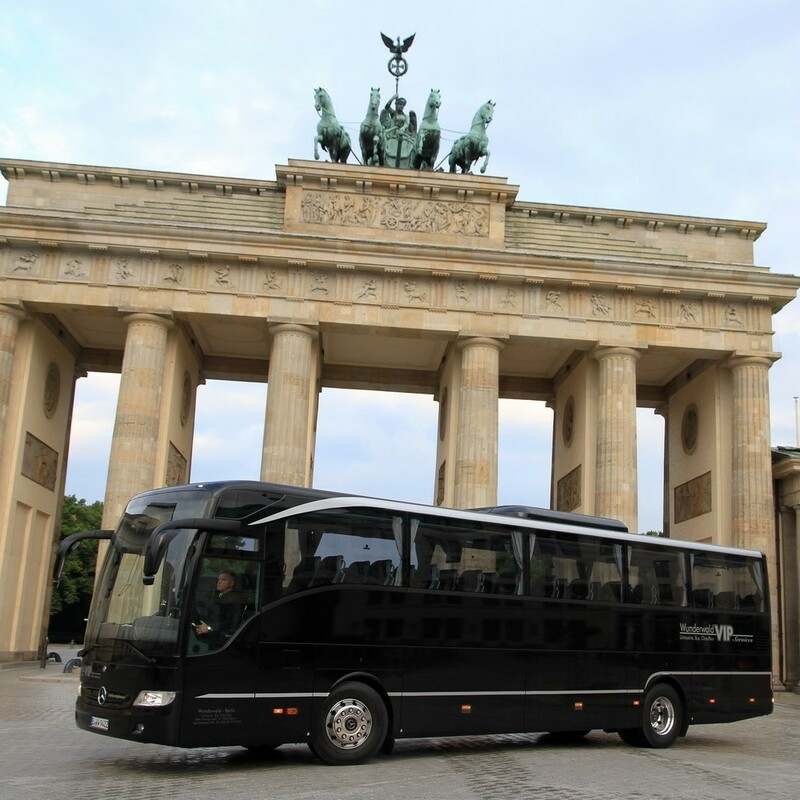 Berlin Lights Tour: the ideal start to your Christmas party with colleagues, employees or business partners. Time to explore Berlin during the festive season. See the impressive Berlin tourist attractions in bright lights. Start your Berlin Christmas party in style. 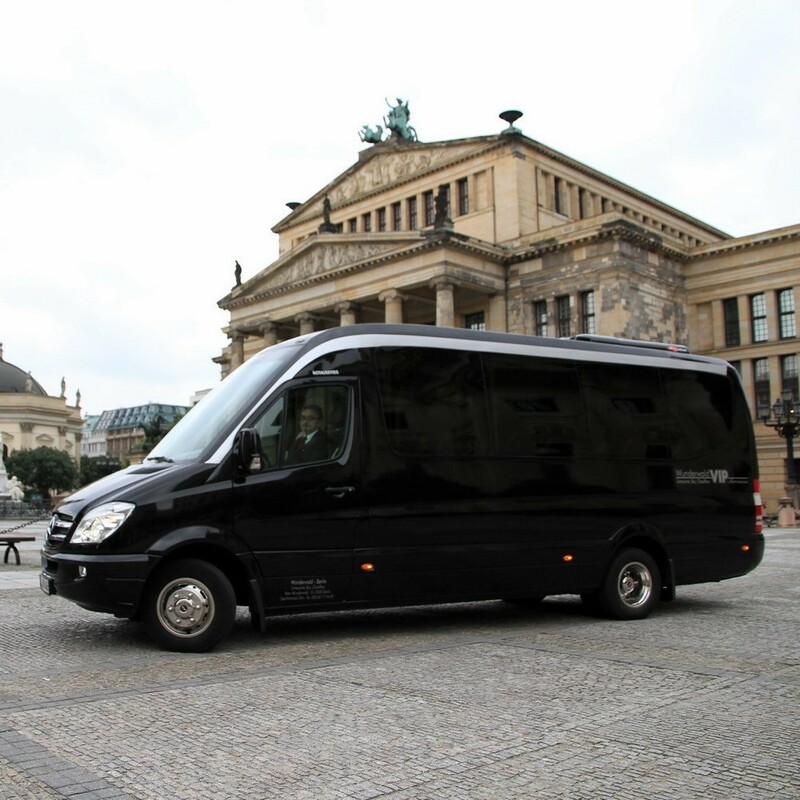 The Berlin Nightseeing city tour appeals not only to night owls, but also businessmen and conference participants who didn’t have the chance for sightseeing during the day. 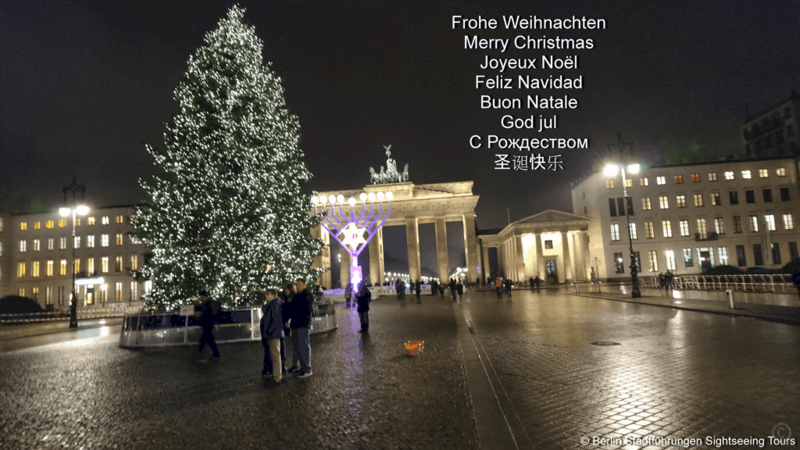 Berlin Christmas Lights Tour. 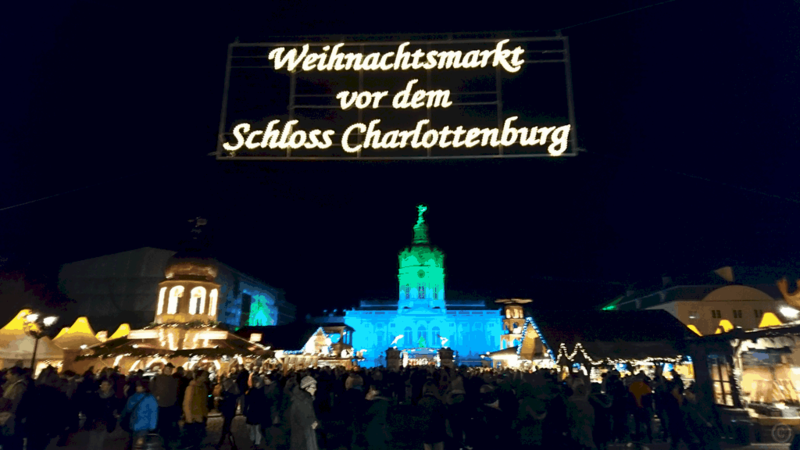 Christmas in Berlin: Festive City Lights Tour with stroll over the Christmas Market Charlottenburg Palace. Discover the spectacular sights of Berlin on a guided City Lights Tour during the Christmas season. 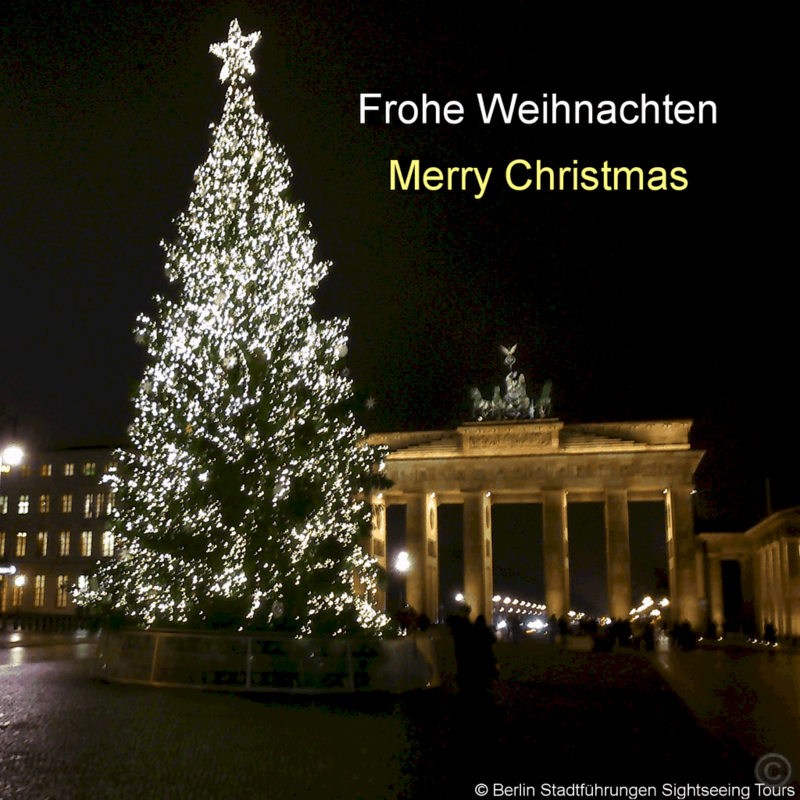 Christmas in Berlin; Time to explore the radiant federal capital during the festive season. In late November, it's time again. The boulevards and sights of the German capital will shine impressively in bright lights. 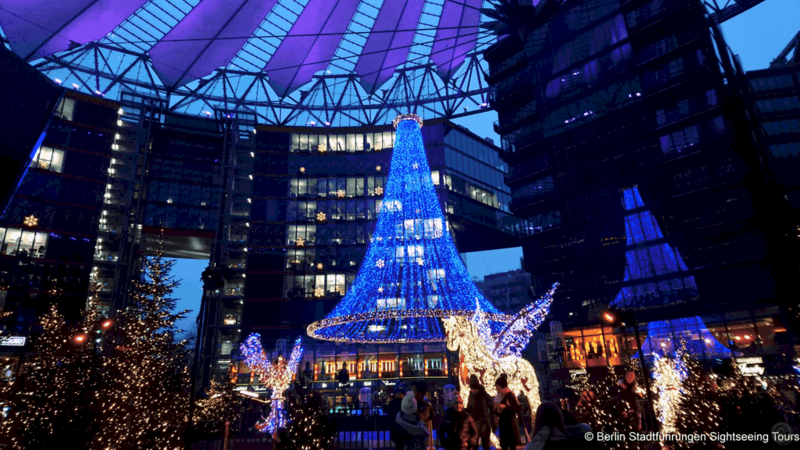 On a private Christmas lights tour through Berlin on the requested date visitors will discover the highlights of the metropolis in the center of East and West. 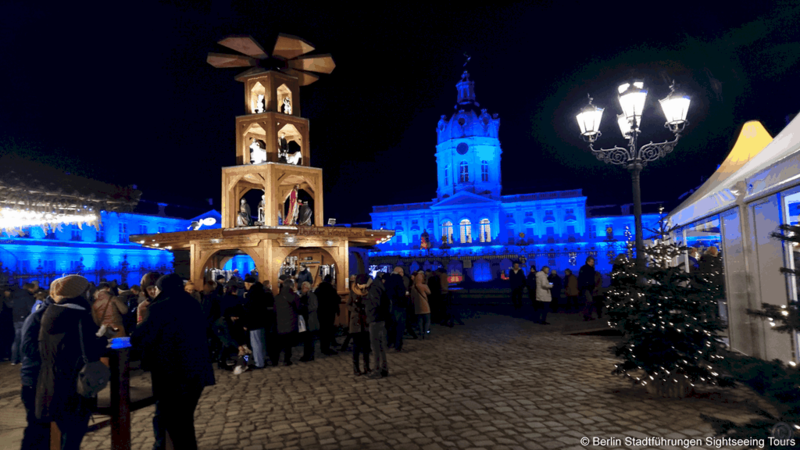 The individual Berlin city lights tour includes a stop for a short stroll over the Christmas Market at Charlottenburg Palace for a mulled wine, or a hot chocolate in a festive atmosphere. The Glitter trip starts individually after dusk around 4:30pm at the starting point of choice; e.g. from a company's address or directly from a Berlin hotel. Then there is the fantastically staged Berlin boulevards, landmarks and places in the brightly lit downtown to discover. Of course for a guided tour includes numerous Berlin's sights and the spectacular, imaginative and illuminated festively staged boulevards like Kurfuerstendamm or Unter den Linden and also notable places of politics and current affairs. 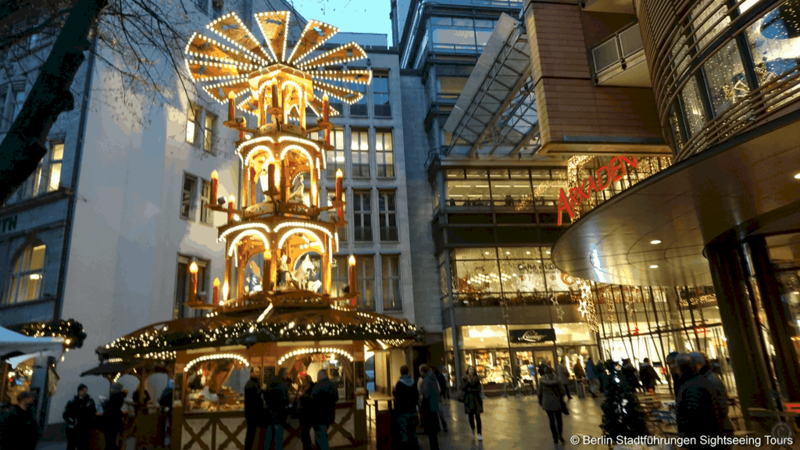 The 2 ½ -hour driven Berlin sightseeing tour with views of the sparkling Christmas Berlin also features a 30-40-minute stop at the atmospheric Christmas Market for a mulled wine or hot chocolate in Christmassy ambiance. 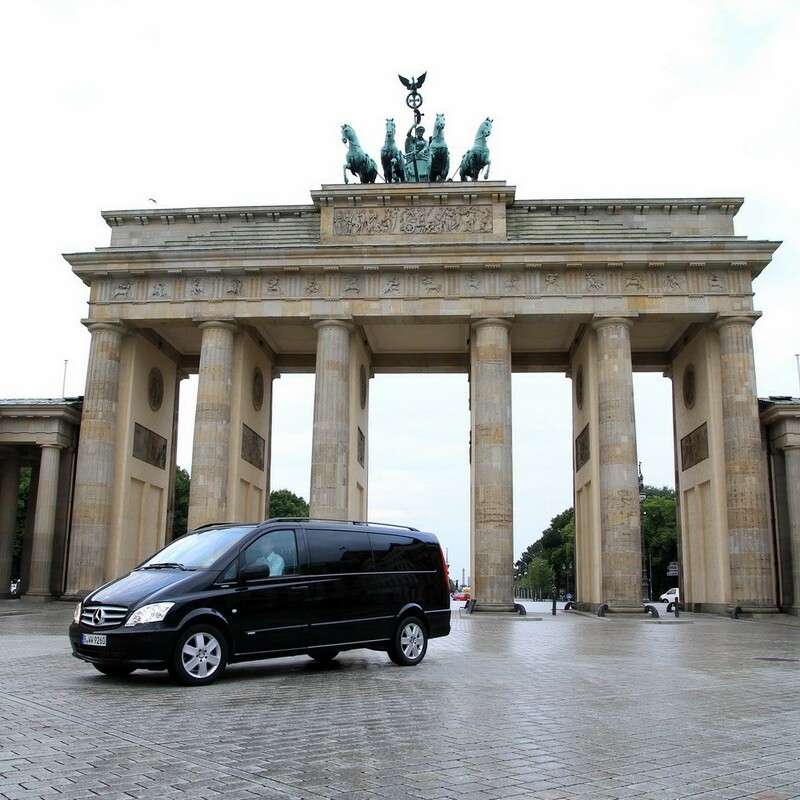 Depending on the group size, the Berlin tour will be performed in a comfortable coach, panorama minibus or minivan. The highlights of the sightseeing route are brought closer by knowledgeable Berlin tour guides. Ending point of the Berlin City Lights Lights Tour is as desired at one of Berlin's Christmas markets or at a restaurant of choice for festive Christmas food.